and I will send you details on how to get it for free. 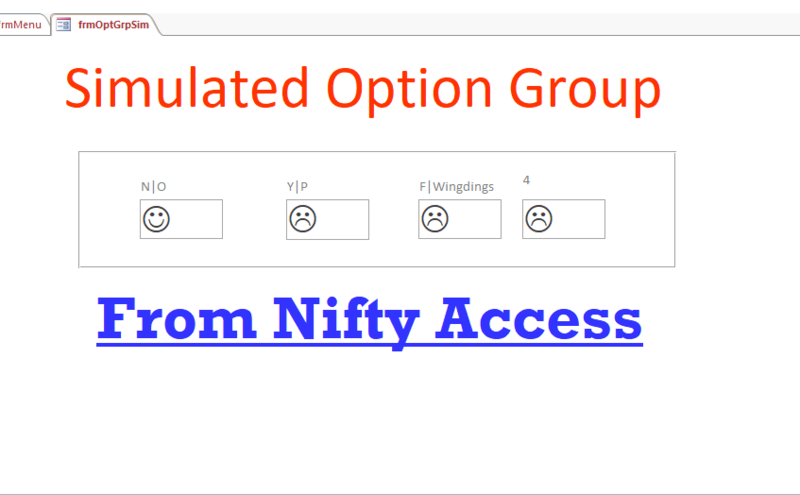 I wasn’t happy with my initial attempt at this simulated Option Group… So I’ve added some new features which are demonstrated in this video, however when I was testing the option group,if I had a more than one group on one form, then there was an unexpected problem with Code. I need to sort out before I publish this. Watch this space!